This bag will fit the most any guitars. The interior measurements are 42″ x 16″. 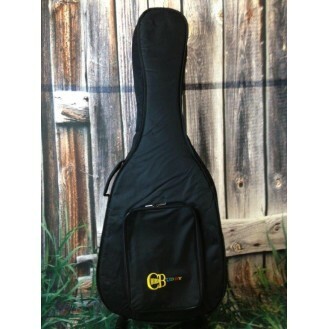 High quality padded gig bag with removable shoulder straps. This bag has 20 mm of padding on all sides, as well as, the top and bottom. It has a 13 x 9 1/4 inch pocket on the front with a quality zipper for holding accessories and books.